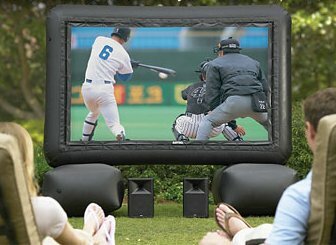 If you like watching your sport outdoors but prefer watching it on the screen rather than in a stadium then the giant inflatable screen could be just what you never realised you wanted. 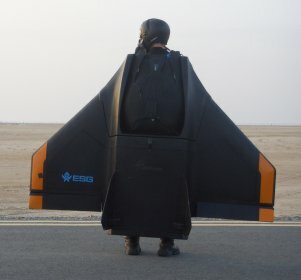 A new parachute system known as the Gryphon has been designed by ESG Elektroniksystem- und Logistik-GmbH and Dräger (not sure how you’re meant to pronounce that). The Gryphon enables parachutists to fly through the air at high speed before opening their chutes, so they could be dropped miles away and fly to their intended targets. The only gadget like curtains I’ve seen before are those with little motors that open and close them with a flick of a switch. This may of been cool 10 years ago but now just seems dorky instead of geeky. The new flexible electronic curtain from Japanese company MicroReactor System Co has got to be the coolest curtain I’ve ever seen (and if it could be combined with LED windows that would be awesome). 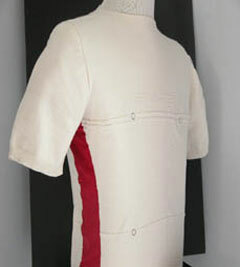 This is a cotton t-shirt with a difference. It has smart sensors inside the fabric that can monitor the wearer’s vital signals such as temperature, heart rate and whether or not they are moving. The possible medical applications are infinite, but interestingly enough research work on the project was funded by the US military. Electric candles are nothing new, so what makes these electric candles worthy of gadget status? Apart from looking cool you can light them with a match and blow them out! 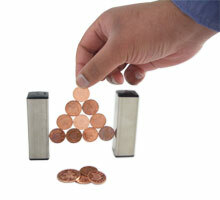 If you thought an uncle making a penny appear from behind your ear was magic you’ll be amazed by the Magic Penny Magnet Kit. The kit combines both science and magic to provide you with some fun experiments (gees you could even say it’s educational). 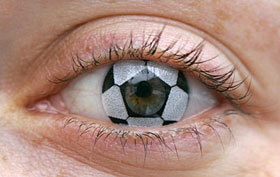 We’ve filed these bizarre contact lenses under “Football Gadgets”. They’re certainly striking – if you’ll pardon the football pun! These cool-looking contact lenses were manufactured by a German optician, Stephanie Berndt, to celebrate the forthcoming football World Cup.